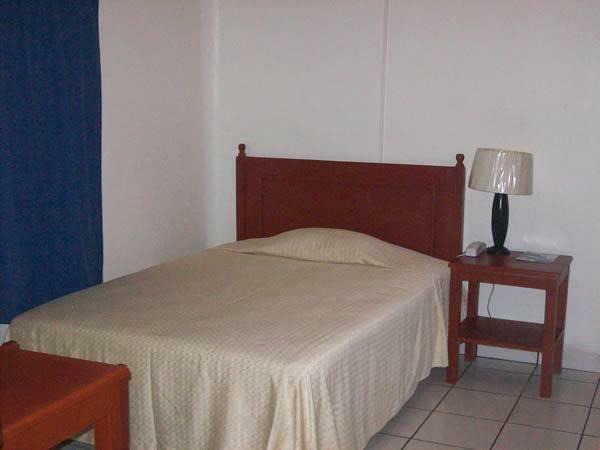 ﻿ Best Price on Hotel San Jose de la Montana in San Salvador + Reviews! Hotel San Jose de la Montaña is just 164 feet from the Salvador del Mundo Monument, in central San Salvador. It offers free Wi-Fi, free parking, a gym and a peaceful garden terrace. Each air-conditioned room at Hotel San Jose de la Montaña features tiled floors and functional décor. All rooms include flat-screen cable TV, a balcony and a private bathroom. Guests can enjoy a free daily breakfast which includes coffee, juice, bread and eggs, as well as characteristic regional dishes like fried plantain. The hotel also offers a small bar serving beers and fresh fruit juices. The hotel is located in the city’s commercial district, surrounded by shops and restaurants. Galerías Shopping Center is 1640 feet away, while the lively nightlife of the Zona Rosa area is 1.2 mi away.